GEAR UP: Remember the excitement of your first sports uniform or your first pair of cool athletic shoes? Gear inspires. Give yourself some cool stuff, such as snazzy workout clothes, a cool heart-rate monitor, or a space-saving set of adjustable dumbbells. It's both a treat and a motivator. How many times have you said to yourself . . . I need to take off those extra pounds and get into shape. It's no secret that the most effective way to keeping pounds off and feeling better is to exercise. Confused on which exerciser to buy? Our friendly staff is ready to assist you. We have expanded our fitness department so we can help you set up the best fitness room ever. Treadmills, Bow Flex, Elliptical trainers, Stationary Bikes and Air Dynes. Remember, work on your cardio, strength and flexibility in every training session. We carry heart rate monitors so you can keep in touch with your work out and body. Come in to The Bike Shack today! Test and compare these fitness machines. Whether it’s cardiovascular or strength equipment, our staff can provide you with the knowledge to help make your buying decision. Lifting it up!You need to check out the huge selection of Olympic weight sets, benches, dumbbells and all the accessories that go along with weight lifting and bodybuilding. We carry a full supply of extra plates in both 1" and Olympic size for you to add to your set. The plates come in 2.5 through 45lb. Do you have back problems? We may have the solution to help relieve the pain.You need to check out the 'Hang-ups' inversion table. This unit is really great! Stop in to try it out today and feel the difference that stretching can make in the way you feel. Remember that total fitness requires you to work on strength, cardiovascular and flexibility in your training. Of all the various types of fitness equipment that come and go, there is one that is still a major contender, that is a Treadmill. The Bike Shack has a full selection of new treadmills. Models come in varying ranges of quality, features, and power. We invite you to view our products by price range, brands, and categories. Our professional staff is trained to help you pick the right treadmill for your needs and your budget. Best of all, you can test our models on display before you make your purchase. We deliver and set-up the unit in your home. 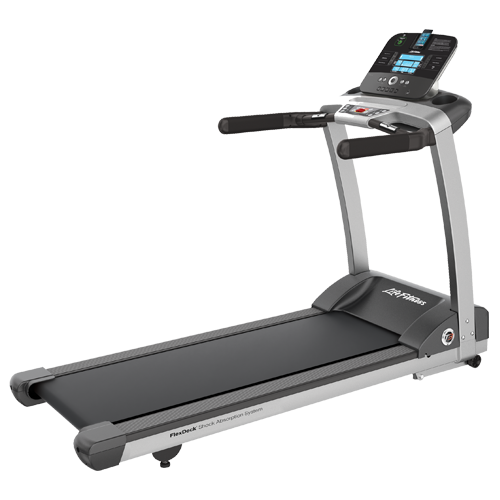 Treadmills are the rage and we have them from Life Fitness and Spirit Fitness. These range from light home use to the pro models for your health club. Phone 563-582-4381 or e-mail: josh@thebikeshack for additional information. It would be worth your time to stop by The Bike Shack and checkout our huge selection of treadmills. Heart rate monitors, clothing and proper footwear are all part of The Bike Shack fitness system. Check the variety of products we have. Don't see what you want? Ask for it via e-mail. Elliptical cross-trainers provide a full body workout. With several models available from brands like Life Fitness and Spirit. 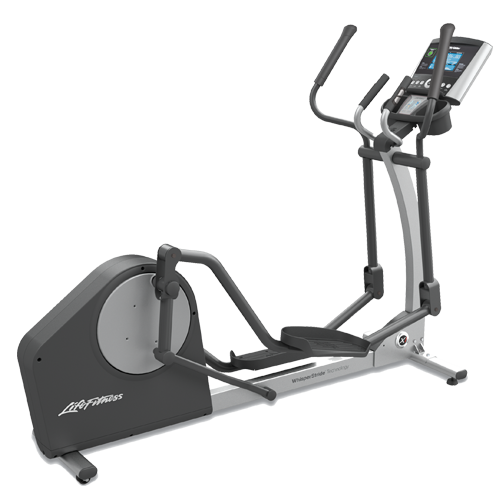 Adjustable resistance levels and multi-function computers allow for either "Quick Start" or full work out programs. Every elliptical machine has a distinct stride and feel, we suggest you stop in and try the different models to assure you have a fluid, natural feel during your workout. Recumbent exercise bikes bring new benefits to biking and is a highly sought after piece of fitness equipment. With ergonomically designed seats, a recumbent bike brings added comfort to your workout by supporting the lower back. Many recumbent exercise bikes feature programmable display units for you to track and monitor your performance. At The Bike Shack you have many recumbent bikes to choose from, with the higher end versions including programmed workouts, heart rate monitors and more. When choosing a recumbent exercise bike, be sure to clearly define what you want from your exercise routine. Home Gyms provided versatility and adjustability. With several exercise options and adjustments to fit everyone in your family. Gyms from Body Solid deserve a closer look if you want great value. We carry most models in stock. Stop in, let us show you the differences, and help you find the one that best fits your family needs. Our staff is very knowledgeable in weight stack usage, setup and benefits. One trip to The Bike Shack could save you lots of time and money. Our staff is very knowledgeable in fitness room design, and in helping to select the proper choice of fitness equipment for your home, small studio, or business. We invite you to "Hang-out" at The Bike Shack and give it a test. Experiencing back spasms, stiffness, disc problems or misalignment in the hips, spine and neck. 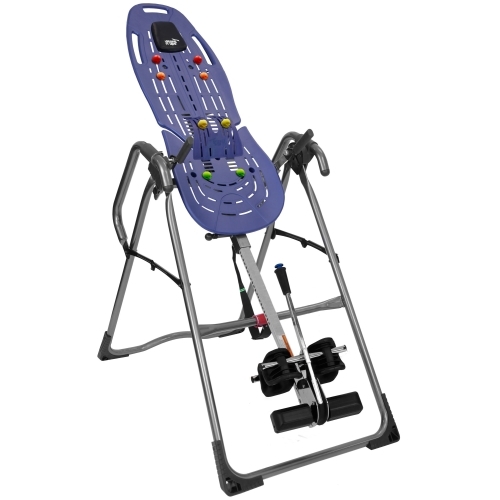 You need to try out our Teeter Hang Ups® Inversion Table now available at The Bike Shack. Their easy-to-use design offers comfortable option for people of all age groups and fitness levels. You select the desired angle of inversion, as well as the ability to easily move into complete 90-degree inversion. This permits the level of intensity that best suits your unique needs. The table rotates on a pivot system controlled by weight displacement as a result of arm movements. Smoothly and easily rotates to any comfortable angle, allowing for oscillation and intermittent traction. The WaterRower’s unique WaterFlywheel design uses an specially formed paddle to cup the moving water, reduce slippage and produce an unrivalled simulation of the benefits of rowing. There is no "solid" connection between user and the moving water, simply an immersed paddle which dampens out any detrimental mechanical feel Providing some "give" is essential for accommodating bad or developing technique, lessening the risk of injury. The Bike Shack truly is the only place for all your Fitness needs.